Heat oven to 350°F. 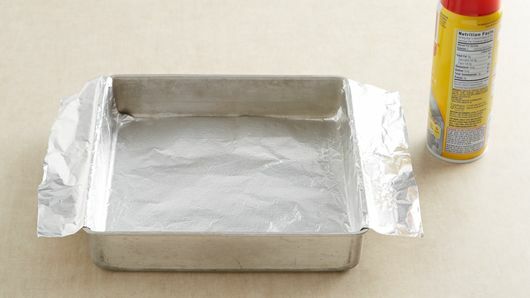 Line 9-inch square pan with foil, allowing foil to hang over sides of pan for easy removal after baking. Spray with cooking spray. Make brownie batter as directed on box. Spread in pan. 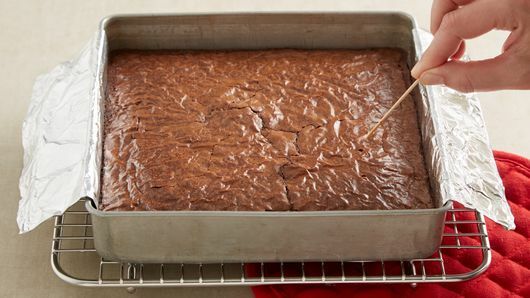 Bake 35 to 38 minutes or until brownies are set around sides and toothpick inserted in center of brownies comes out almost clean. Cool in pan 10 minutes. Meanwhile, in medium bowl, crumble cookie dough; stir in oats until mixed well. 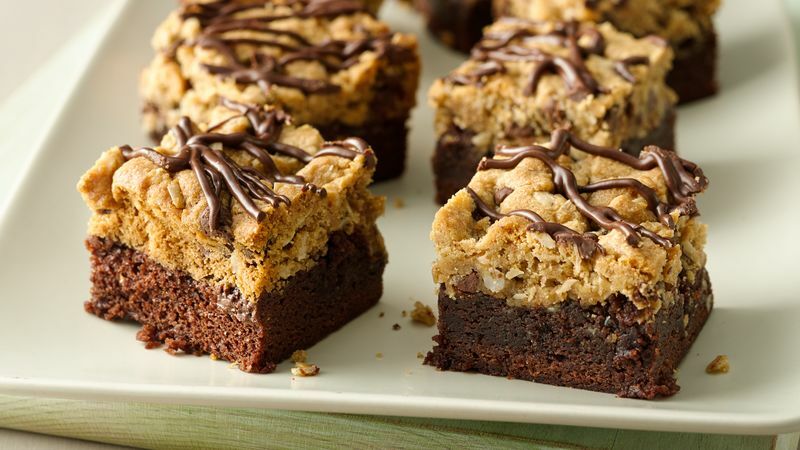 Drop cookie dough mixture in chunks on top of baked brownie layer. 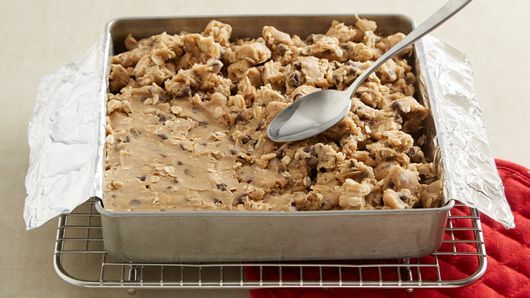 With back of spoon or offset metal spatula, gently press cookie dough together to form even layer. Bake 25 to 30 minutes or until cookie layer is set, covering with foil last 10 minutes if necessary to prevent overbrowning. Cool 1 hour 30 minutes, and remove bars from pan; cut into 4 rows by 4 rows. Be sure to use regular (not heavy-duty) foil to line your pan, as heavy-duty may affect the bake time and doneness of bars. Drizzle bars with melted chocolate, if desired.